At St. Denis & Davey, P.A., our attorneys are experienced and skilled at handling product liability claims brought against our dealership clients. Motor vehicle accidents often lead to severe injuries; as a result, injured victims (or the families of people killed in such accidents) frequently sue to recover compensation for their damages. While such suits are most often directed at other drivers, they sometimes target the manufacturers of the vehicles involved, tire manufacturers, as well as the automobile, boat, or R.V. dealerships that had sold the vehicles. Like other products, cars, trucks, boats, and R.Vs are expected to be safe for the consumers who buy them, as well as for others who interact with the products. In Florida, product liability places responsibility for a product's safety on the manufacturer and suppliers involved in the chain of commerce that leads from the manufacturer to the consumer. However, the suppliers themselves are not expected to become insurers; the law recognizes that they cannot guard against every possible harm, and cannot be held responsible in all circumstances. We thoroughly examine every insurance policy and every contract that relates to such claims, and ensure that our clients make full use of their protections, as well as of the liability shields that are often part of such documents. We make every effort to get our clients dismissed as defendants as early as possible in such cases, even when cases are allowed to continue against other defendants. When applicable, we make the appropriate requests to have our dealership clients' defense assumed by the manufacturers involved. In addition, while the attorneys at St. Denis & Davey, P.A., are well versed in arbitration and other forms of alternative dispute resolution, we are also ready to defend our dealership clients in court, aggressively and effectively. 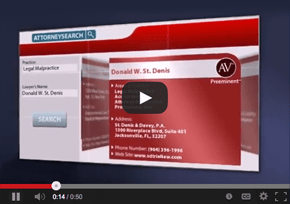 Board-Certified by the Florida Bar as a Civil Trial Practice attorney, Donald St. Denis has received the highest AV rating from his peers and has been named as a "Super Lawyer" for the past three years in a row. 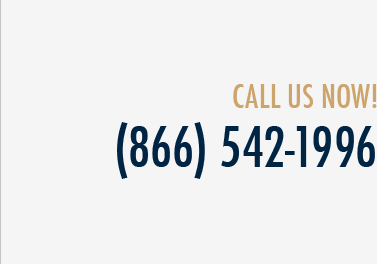 Our firm is proud to have reached defense verdicts in numerous Florida cases. From our offices in Jacksonville, Tampa and Miami, we serve automobile, boat, and R.V. dealership clients throughout the state of Florida. To discuss your product liability / manufacturing defect defense needs with a knowledgeable and experienced Florida attorney, please call us at (866) 542-1996, email info@sdtriallaw.com, or fill out and submit our online "Contact Us" form.